JConcepts TLR 8IGHT 4.0 Turnbuckle Set « Big Squid RC – RC Car and Truck News, Reviews, Videos, and More! Back in the day, high-end turnbuckles were one of the most important option parts you could buy. Now days, not so much, but they are still really nice to have. 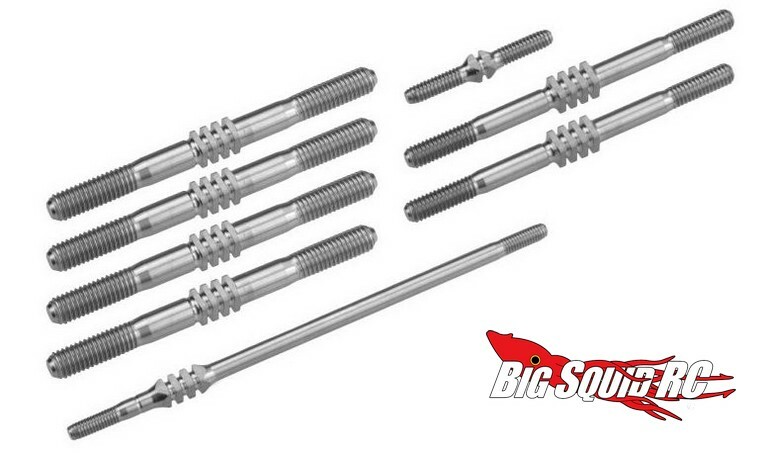 JConcepts has recently announced a Titanium Turnbuckle Set for the TLR 8IGHT 4.0 buggy. The titanium turnbuckles are both lightweight and strong, and perhaps more importantly, they look really trick. The set for the 8IGHT 4.0 comes with 8 pieces, including one for the throttle and steering linkage. The set of 8 is priced at $63, it has a part number of #2543, and more details can be found on JConcepts’ Website. Click This Link for more of the latest JConcepts news on BigSquidRC.